Turas Columbanus, also known as the Columban Way, traces the journey of Saint Columbanus, an Irish monk of the late 6th and early 7th century through Ireland, England, France, Switzerland, Germany, Austria, Liechtenstein and Italy from his birth place in the shadow of Mount Leinster on the Carlow-Wexford border to his resting place in Bobbio, south of Milan in northern Italy. The Turas Columbanus is a pilgrim walk through countryside, pathways, villages and towns from Ireland’s Ancient East through the monastic and medieval foundations such as St Mullins, Myshall, Carlow, KIldare, Tullamore, Athlone, Clonmacnoise, Clenish on Lough Erne, Armagh and Bangor to return south through the Boyne Valley, Glendalough and finally cross the Irish Sea to Cornwall. The Turas Columbanus is of particular interest to those who wish to keep the legacy of this great Irish “Man of Letters” and “First European” alive in the 21st century and thereby promote aspects of his life which are of significant interest to those who work towards an integrated Europe open to all. Who organises and promotes the Turas? Here in Ireland the Turas Columbanus is organised by the Friends of St Columbanus. A group of interested persons got together in October 2016 to set up the Friends of St Columbanus in the Republic of Ireland. 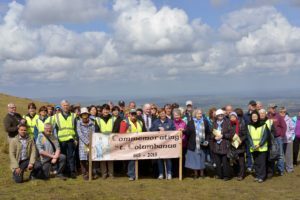 Among them are Columban missionaries, Columban sisters, members of the Knights of St Columbanus, academics, and members of Meath and Carlow County Councils, Myshall community and representatives of the Irish Government. 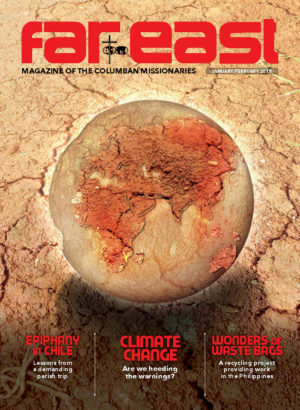 The principal task of the Friends of St Columbanus ROI is to advance Turas Columbanus in the Republic of Ireland and coordinate with ‘Friends of Columbanus (Bangor)’, with Associations of the Friends of St Columban in France, Austria, Switzerland Germany and Italy and with all relevant stake holders (this would include tourist and land holders etc) in promoting the Columban Way. 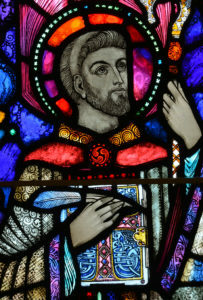 The Friends of St Columbanus is also committed to educate and raise awareness among the general public in the Republic of Ireland of the life and work of St Columbanus and increase the knowledge of his historical and cultural heritage. 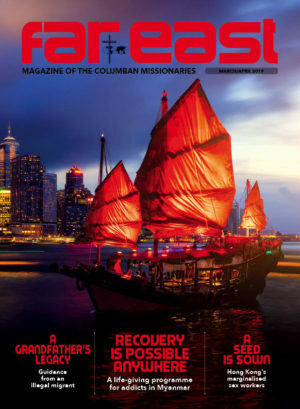 The Friends of Saint Columbanus are part of a wider network of Associations who promote the Columban Way in the countries where Columban once pilgrimaged and set up monasteries and where his successors continued his work and mission.